Each year around the anniversary of the Battle of Warsaw (August 15, 1920) at the National Shrine of Our Lady of Czestochowa we are celebrating Polish Soldiers Day when all gather to pay their respect to the Polish Soldiers who sacrificed their lives “for our freedom and yours” during World War II and other wars. The veteran’s mission is to honor the men and women of Poland’s armed forces while simultaneously demonstrating solidarity with them and to pay homage to their fallen and deceased comrades-in-arms. 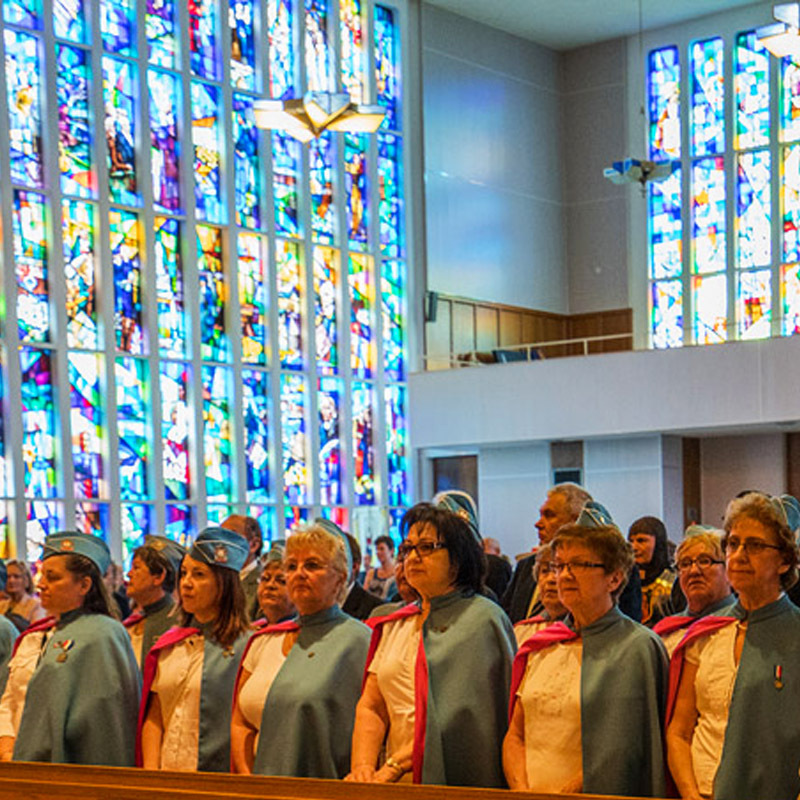 There are many uniformed participants from the greater regional area gathered together for the formal ceremonies. 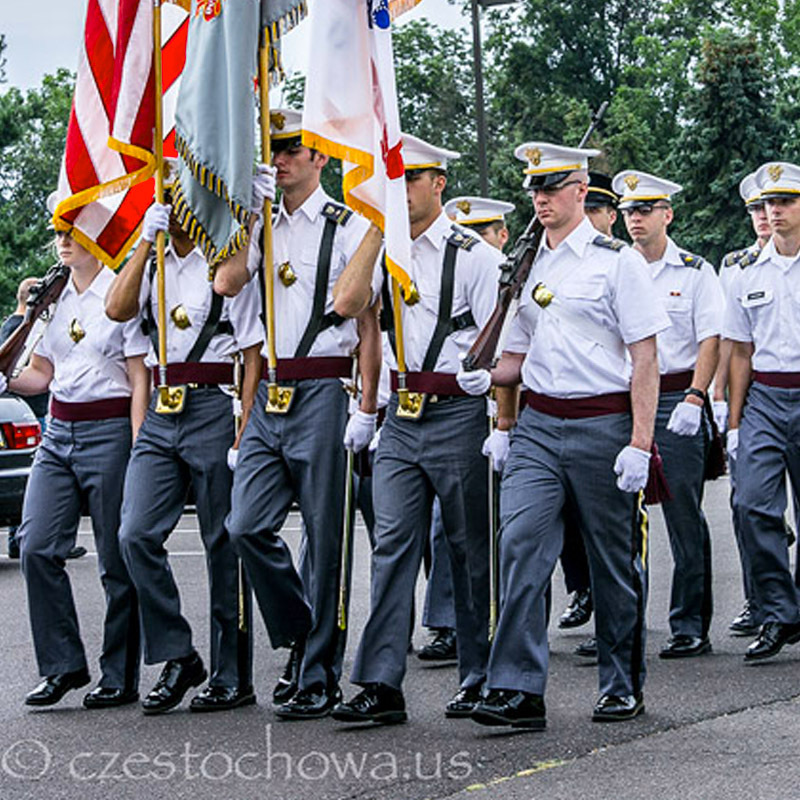 The groups represented, in various formations, were: the Polish Army Veterans Association of America (S.W.A.P. = Polish acronym), along with its Ceremonial Rifle Squad and Women’s Auxiliary; Polish Combat Veterans of WW II (S.P.K. = Polish acronym); The Pulaski Cadets; and Polish Boy/Girl Scouts. Together, they presented a most impressive sight when assembled in long formation for review – and their rainbow of many colorful national and military flags served to dramatically brighten up the grey sky. 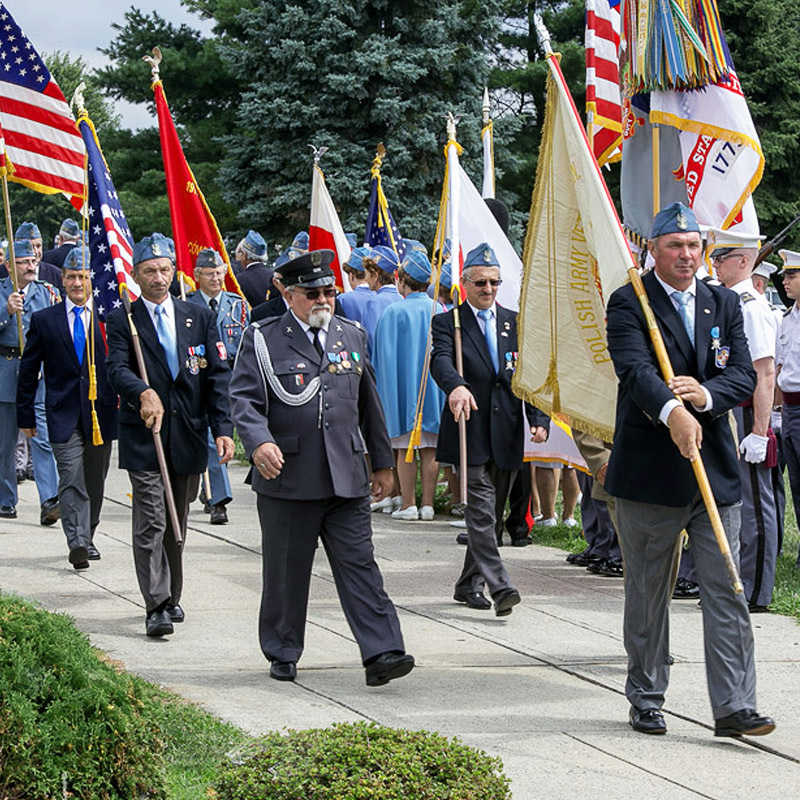 he Polish Army Veterans Association in America was formed in 1921 to aid Polish veterans who returned to the United States after Poland’s liberation. 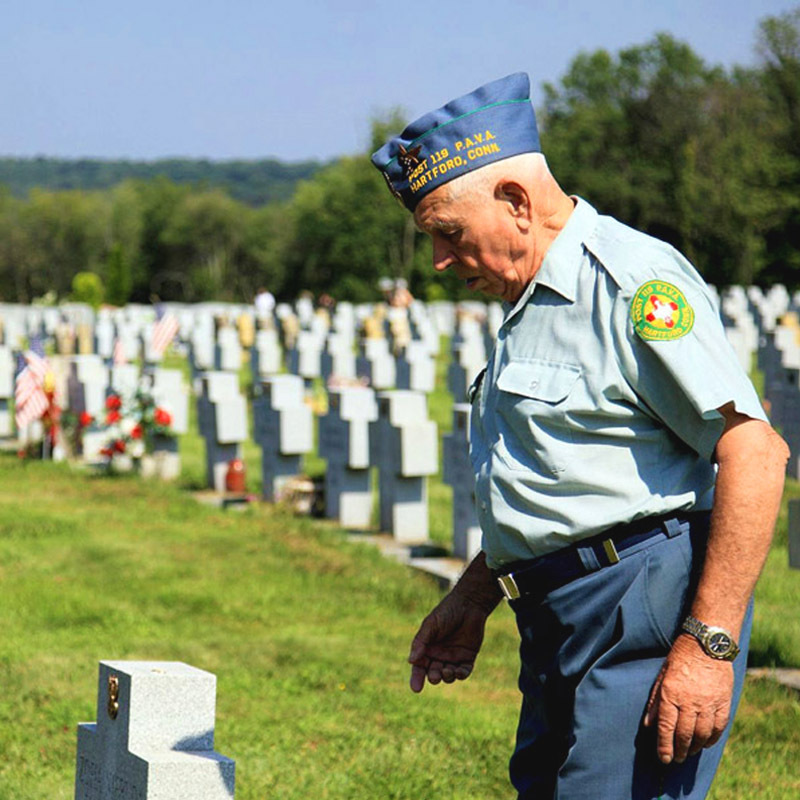 Currently its members are WWII and present Polish army veterans who settled in USA and Canada. Its purpose is to assist veterans, organize meetings, publish historical texts, and oversee its museum in New York City. The Polish Military Heritage Museum in New York is located on the 4th floor of the Polish Veterans Home in Manhattan at 119 East 15th Street.